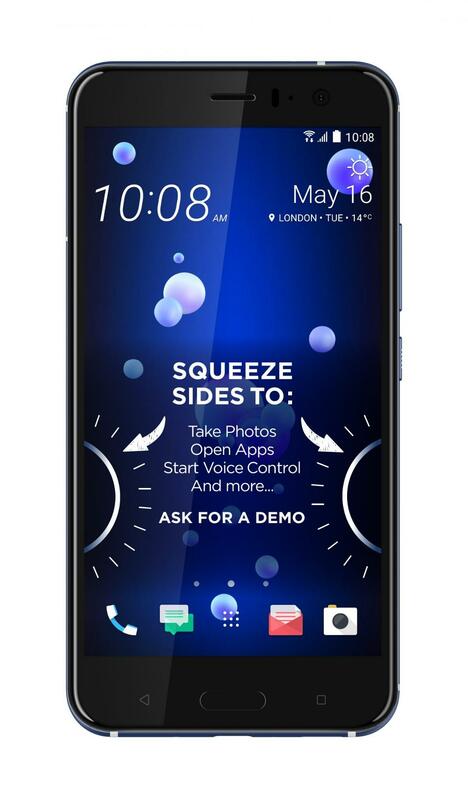 Meet HTC U11 Smartphone: Squeeze It, Talk To Alexa, Google And More. 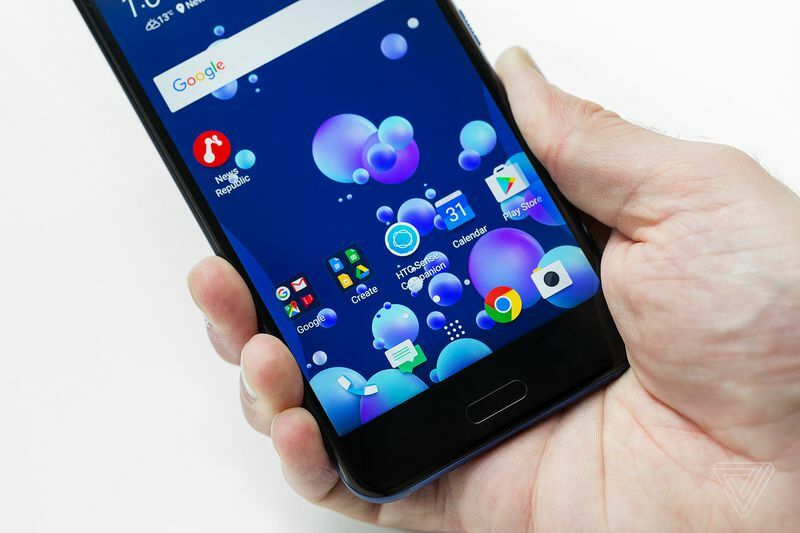 HTC U11 has been released today, the U11 flagship. We bring you the news from the release of the HTC 2017 smartphone. The device features a fancy squeezable function (that launches a configurable action), an all-glass device with a dual hotword support (for Google Assistant and Amazon Alexa). The future of HTC is glass and we now see that the new HTC 11 is all glass outer casing with a striking super shiny back color. The back of the glass features a fingerprint magnet. 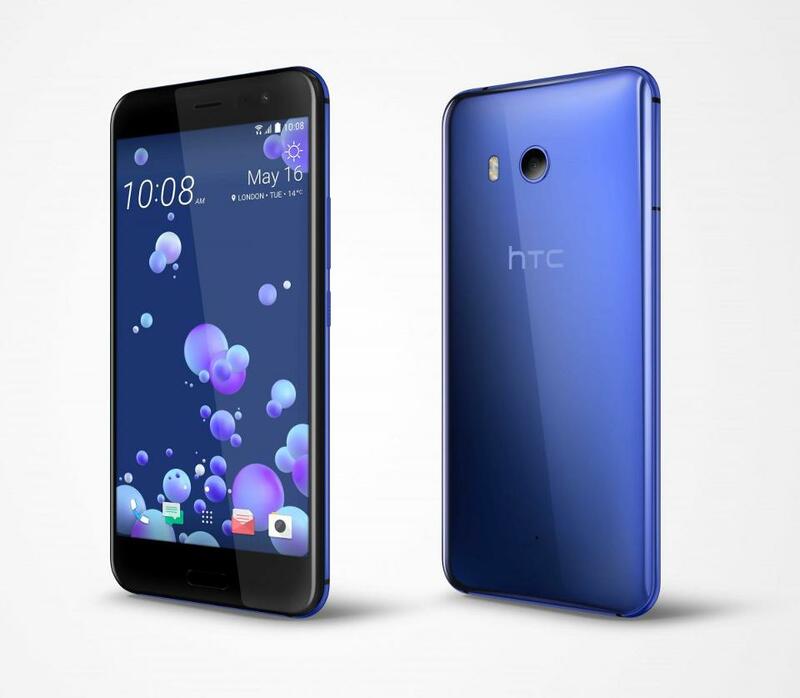 HTC 11 has no headphone jack like its HTC U Ultra but it will ship its own USB-C- to 3.5mm plug in the box with an active noise canceling capability without the need of a battery. Well, the smartphone sides (left, right) of the smartphone have pressure sensors (called Edge Sense) that detect when you squeeze the device. This feature works like a convenience key in some phones and can be set/program for different features. For this feature of a squeeze, a hard squeeze or short squeeze can launch different apps, like Amazon Alexa, flashlight, or a few other things that you set to launch depending on its squeeze pressure. Also, HTC great addition to the Dual Wake Word makes it perfect for voice command system for Amazon and Google. 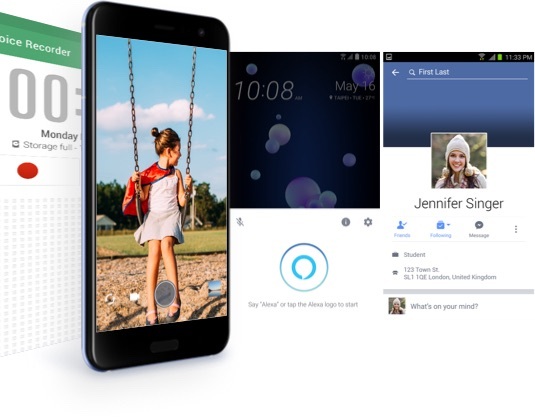 HTC U11 has an Amazon Alexa built in. so you will be able to use two wakes up voice command like “Ok Google” for Google Assistant and “Hey Alexa” for Amazon Alexa. HTC says the two Assistant will sit on the device as equal citizens. It’s just upon you to choose your Assistant. Choose Alexa if you’re a fan of Amazon or Choose Google Assistant if you’re a fan of Google. Also, you use Alexa for amazon shopping. HTC U11 comes in five colors including Sapphire Blue, Amazing Silver, Brilliant Black, and Ice White. Later in the year, there will be a Solar Red version also. The phone come with a 5.5-inch screen (Quad HD), which is the size of the iPhone 7 Plus. Also, HTC U11 comes with a strong battery life with a cell that recharges quickly using a fast charging plug. It’s powered by latest Qualcomm Snapdragon 835 processor with a 2.45GHz Octa-core. Comes with a front camera of 16MP with a rear camera of 12 Ultrapixel. 4GB RAM with 64GB Storage and 6GB RAM/ 128GB storage. Can be expanded via a microSD card slot (up to 2TB). HTC BoomSound Hi-Fi edition, 3D audio recording with four microphones, and Hi-res audio certified. Come with a fingerprint scanner which is housed underneath the Home Button in the front. 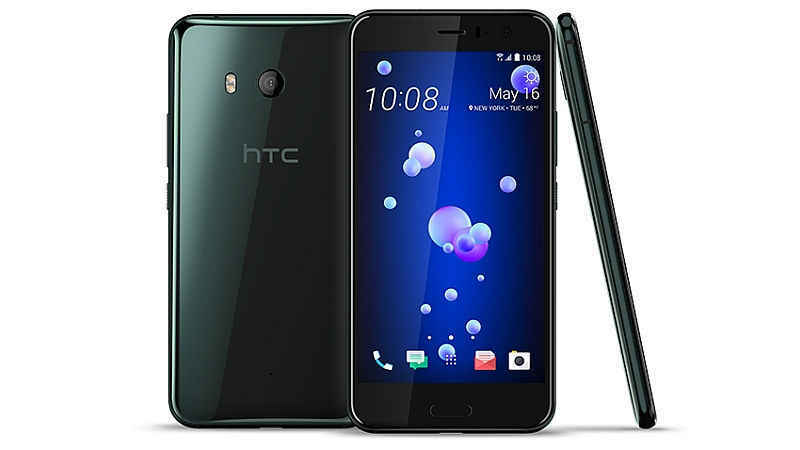 The price of HTC U11 is available for preorder from htc.com and Amazon for $649 and will be shipping in June. Google I/O 2017 event. What we should expect from the event?